Well this was a nice way to end the week! I’ve just received an email from Microsoft informing me that I have been recognised with a Microsoft Community Contributor Award. This is awarded to people who freely contribute their time to helping others in Microsoft online communities. I’m honoured, thank you Microsoft! 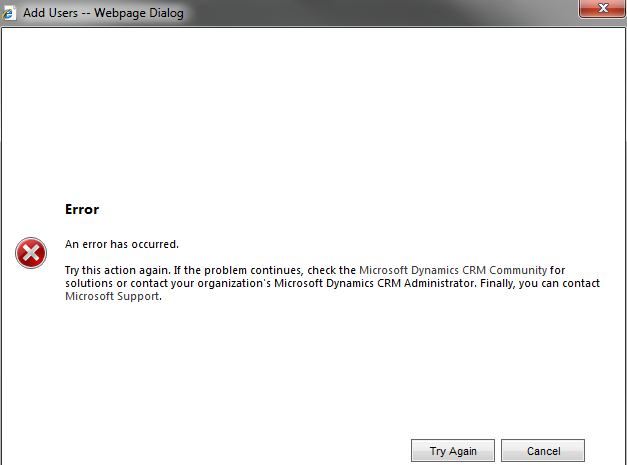 Microsoft have just posted the final release of CRM 2011 On-Premise. You can download the installer from here and pick up the implementation guide here. To install, you will need to use the 90 day trial key provided and you will be able to purchase full license key from 1st April 2011. Users with active software assurance plans should get their license keys earlier, although there is nothing in my licensing portal just yet.